The sweeping expanse of sand, clear water and tumbling surf of Sennen Cove have understandably made this one of Cornwall’s most popular beaches. 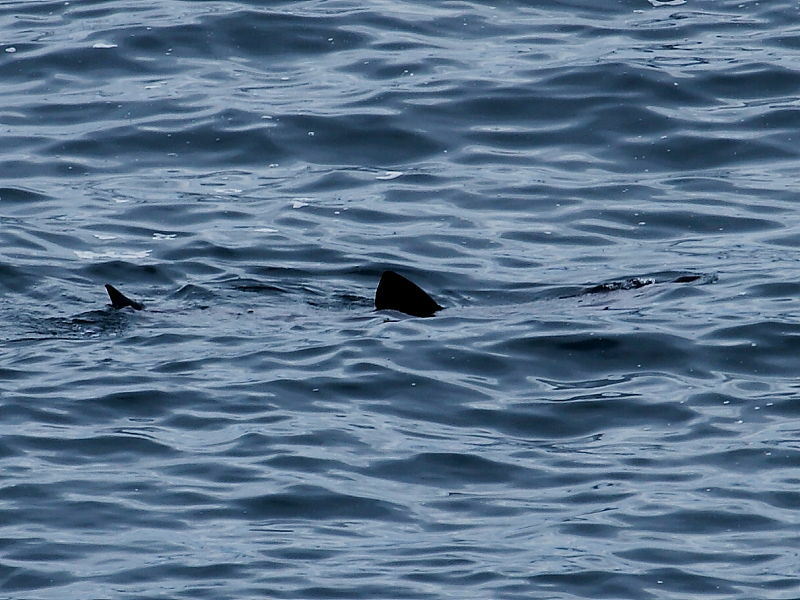 For visitors to Sennen the exhilarating experience of sharing the water with a seal, dolphin or even a Basking Shark whilst swimming or surfing is a real possibility. It is not uncommon for seals and dolphins to be seen in the bay and from time to time they do come surprisingly close to watersport enthusiasts. Other nearby seawatching places are Land’s End, Cape Cornwall, Pendeen and Porthgwarra. 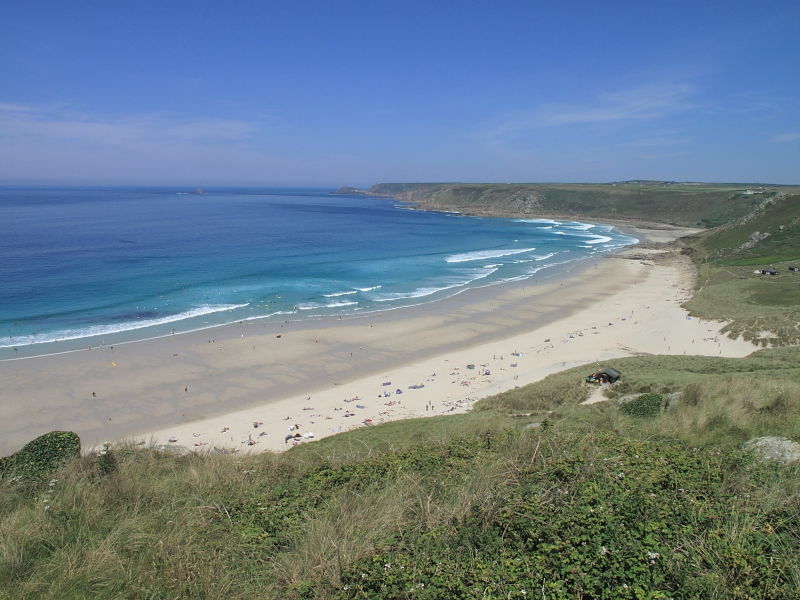 Sennen Cove beach is located in the far south west corner of Cornwall on the north Atlantic coast. 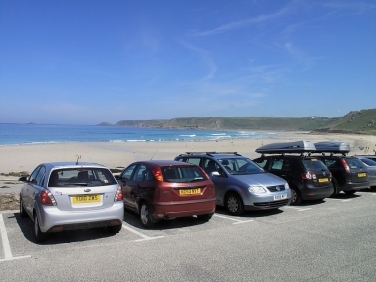 A pay and display car park is on the front with direct access down onto the beach. A large over flow car park can be found off Cove Road a few hundred yards above the beach. Depending on the state of tide it can be easier to spot dolphins and seals from the car park just above the beach rather than down on the sand close to the water. Through binoculars it can even be possible to see dolphins, seals and Basking Shark out in the bay looking down from the overflow car park. Sennen harbour often has seals and seabirds around its sea walls but caution should be taken as water breaks over the quay during bad weather. 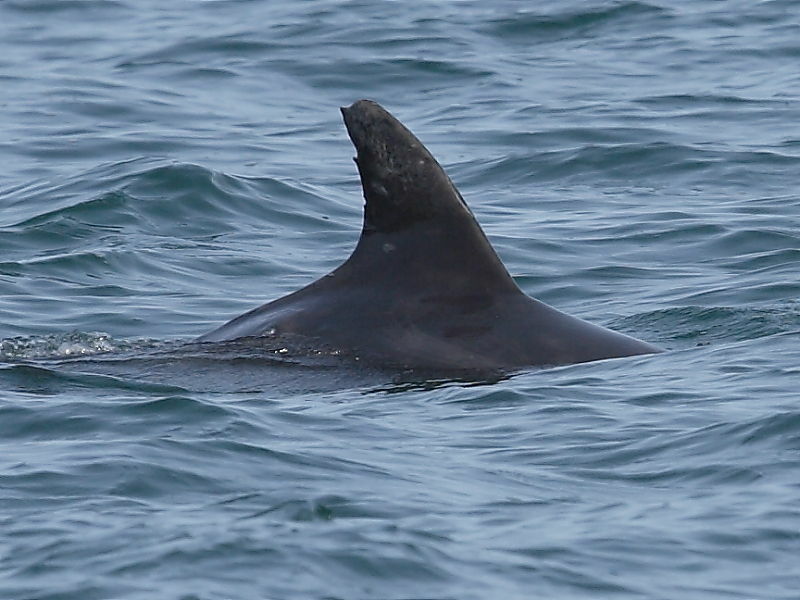 Dolphins and Harbour Porpoises can be seen in any month of the year. Their appearances are unpredictable but will come close to the beach at times to feed and do not appear to be put off by surfers. 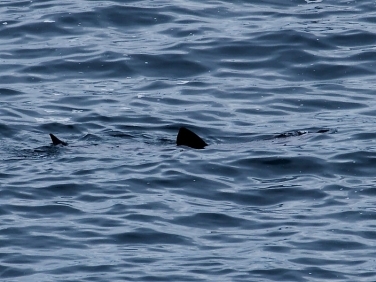 Basking Shark are less common but there are normally a few sightings a year. They arrive inshore between April and October during periods of settled weather. 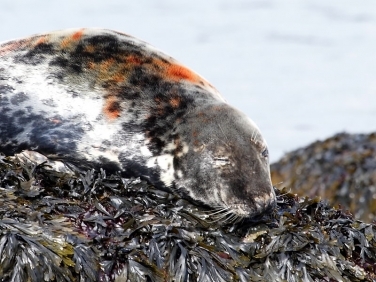 Grey Seals are the most common marine mammal and can be seen throughout the year in small numbers. 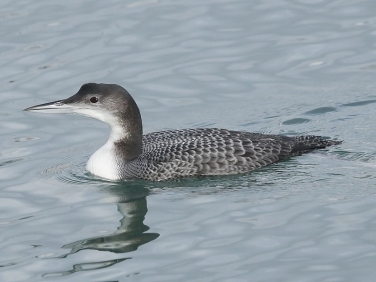 They can often be seen around the harbour walls and in the stretch of water between the harbour entrance and Sennen beach. Grey Seals can be very curious and it is not uncommon for one to stick its head out of the water in the surf close to swimmers. Despite Sennen Cove not attracting as high numbers of seabirds as some of the better known headlands a good selection of seabirds are still recorded annually. Gannets, Cormorants and Shags can be seen throughout the year diving for sandeels and other small fish, often very close to the shore. Razorbill and Guillemot can turn up at any time and several species of Diver occur mainly between the Autumn and Spring. During strong on shore winds many other species of seabird may be pushed into the bay including Shearwaters, Skuas and Auks but views may be distant. 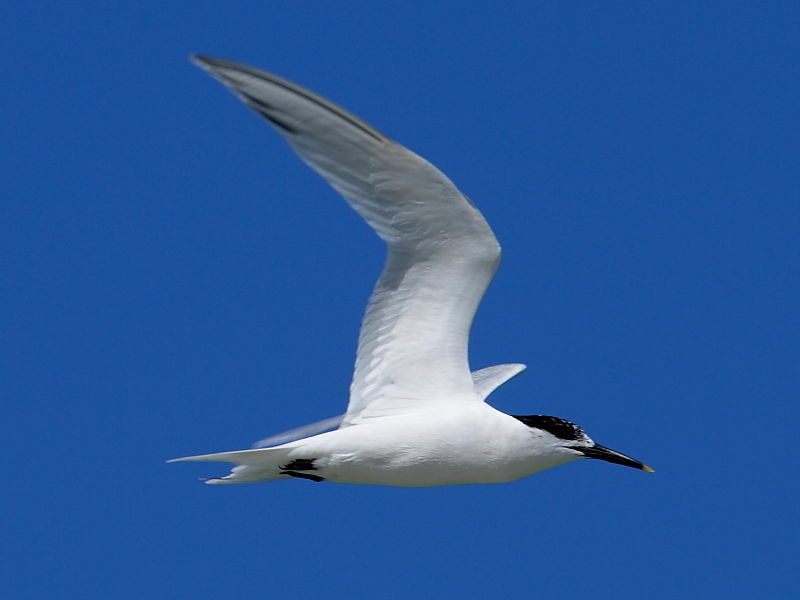 Sandwich Terns arrive in the Spring and dive for sandeels in shallow water close to the beach. Mediterranean Gulls are becoming more common and between autumn and spring the Gull flocks can contain rarer species such as Glaucous and Icelandic. Cowloe rocks off the harbour often act as a safe roost for Gulls but a telescope is required to scan them.